So you’re Sicilian. Are you in the Mafia? “Mummy, why are the baddies English?” my son asked me last week. He was watching “Rio”, a cartoon film about parrots in which the bad parrot, from the Brazilian jungle, inexplicably talks with a very posh English accent. A wicked Brazilian parrot, who …. went to an expensive posh school in England? “Well, it’s just one silly cartoon,” I reassured him. Then he listed all the English baddies he knew in cartoons: Tai Lung in Kung Fu Panda; Jaffar in Aladdin; various baddies in episodes of the Simpsons and Gumball; Scar in the Lion King; and others which I don’t even remember now. An Evil African lion, who had elocution lessons from an English aristocrat? Whilst his brother has lessons in morality somewhere in the US of A? I didn’t go into the fact that it’s not very strange, it’s very racist. 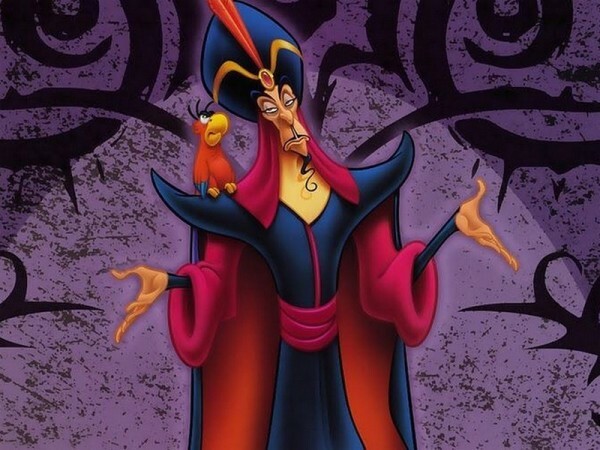 Uncle Jafar, the only man in Arabia who talks with an English accent… unlike the rest of his family. They talk like Americans, because they’re nice. Sadly for my son, he scores the American racist double whammy. He is half English and half Sicilian. Can you think of any film or television show at all where there were Sicilians are portrayed as law-abiding, kind Christians with strong family values, some mouthwatering family recipes, a great sense of hospitality, and pride in their ancient and seminal culture? I can’t. I can think of dozens and dozens, however, where Sicilians are the baddies, always part of a huge family with no morals, which has commited atrocious murders for generations. Of course The Godfather is the kingpin of them all. It stars German-American actor Marlon Brandt, who chose the vaguely Italianate-sounding stage name Brando. It was written and produced by Mario Puzo and Francis Ford Coppola, Americans of Italian ancestry who had no connection with Sicily. The films portray Sicilians in both America and Sicily as a pack of criminals. And they have never been portrayed any differently ever since. The Sopranos is the latest in this long line of anti-Sicilian garbage. The man behind this is David Chase, who claims to be Italian American… not Sicilian American. And he can only get away with calling himself “part Italian” at best, since last time I checked, nobody in Italy has the surname Chase. Sicilians suffer enough hatred from mainland Italians at home. It’s a real shame the nonsense continues across the Atlantic. One could claim that this is only entertainment and, in reality, the Americans know it is merely fiction. But this ain’t so. Try going anywhere in Europe or America or, actually, anywhere in the world, and telling them your husband is from Sicily. “Oh, is he in the Mafia?” they ask, as if it were not an insult. As if it were an acceptable thing to say. As if asking a stranger whether their husband is a murderer is normal behaviour. And let’s go back to the British thing, shall we? Do you think I am exaggerating the anti-British sentiment that wafts across the Atlantic? You can read one list here about how Barack Obama has insulted the British (Oh! Let me count the ways!) and another here. He supports Argentina in their unjustified desire to take control of the Falkland islands and their British residents. He threw out a statue of Winston Churchill from the White house which had been a gift. He downgraded Britan from “our number one ally” to not being mentioned at all in the list of American allies on the official US foreign office website. 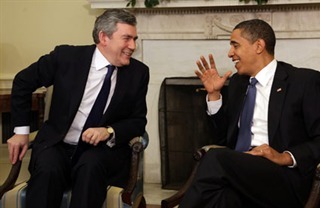 There’s no getting away from it: America’s leader hates the British. Thththththtth and snubs to you, ya Limey! If Sicily is so unimportant, why do the Americans want so many MASSIVE military bases here? The civil movement against this, and particularly the MUOS base, is so strong that the Sicilian regional government may tell the Americans to go away in the future. Could America have protected her economic interests in Libya without using Sicilian civil airports for months, leaving countless Sicilians unable to take holidays or business trips abroad? And if Britain is just a has-been nation, why does America send envoys over to grovel every time we think about reducing our military spending? Could it be because Britain is the second largest contributor of military resources to the United Nations? Might it be connected with the fact Britain followed the US into Iraq and Afghanistan even without UN approval? After Barack Obama had grossly insulted his predecessor, just thinking about reducing military spending got current British PM David Cameron a 19-gun salute at the White House. So far, these old allies of America are still hoping to be friends. They hope this is just a bad patch and that the racist brainwashing of the younger generation of Americans is just a brief, unpleasant phase. But don’t push it. When big bully America REALLY upsets other countries, sometimes they fight back. I don’t suppose the Sicilians or British will do anything like that any time soon, of course. Like I said, all that stuff about the Sicilians being Mafiosi and mass murderers is basically fiction. But look out for those North Koreans. I think that movie “Olympus Has Fallen” was a big mistake. Naturally, I enjoyed seeing a film where the baddies weren’t English or Sicilian, for once. But I wonder how the Koreans felt? Being an American as well as an Italian citizen, I find your post most upsetting. USA flags are never flown tattered and to see this flag photo on USA’s Independence Day is not good. To use another country to show that England is not so bad is also not good. The flag was meant to be symbolic. Vast numbers of Americans have told me “Britain is just an old has-been nation” and I believe the Chinese will be saying that to Americans sooner than anyone expects. Meanwhile, as for being upsetting, I know vast numbers of Sicilians who have been deeply upset by the way they are portrayed in American films and TV shows. As I explained. And I myself have been repeatedly upset by my countrymen being portrayed as the bad guys in half the movies that come out of America. I knew this article would be controversial, but I wanted Americans to stop and examine themselves objectively a bit. Yep, it was even on the Beeb yesterday – a lot of Americans don’t even really know what they’re celebrating anymore – it’s just an excuse for a piss-up 😉 (I’m a fan of that anyway). Great post and you knew it would get you into trouble when you were writing it! As an Irish person who’s used to watching the Irish being priests, drunks or baddies, I know what you’re saying! 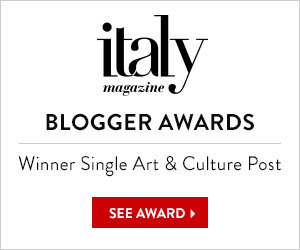 I am wondering ow many American blog subscribers I lost as a result of this post, to be honest! I almost deleted it before posting, but in the end I reflected that I only said true things, and since Americans imply criticism of others, they should explore how they feel to be on the receiving end. As for the Irish being portrayed as drunks and priests, can we make an exception for Father Ted please? I LOVE those guys! In fact it was on the basis of vaguely “hoping to meet some people like Father Ted” that a friend convinced me to go on holiday to Ireland with her!!! But I do see what you mean, it’s yet another annoying stereotype. Also love Father Ted – sad that Dermot Morgan died so young as they could have got a lot more mileage out of that! Thank you so much for posting this. I am half Italian and half Sicilian. 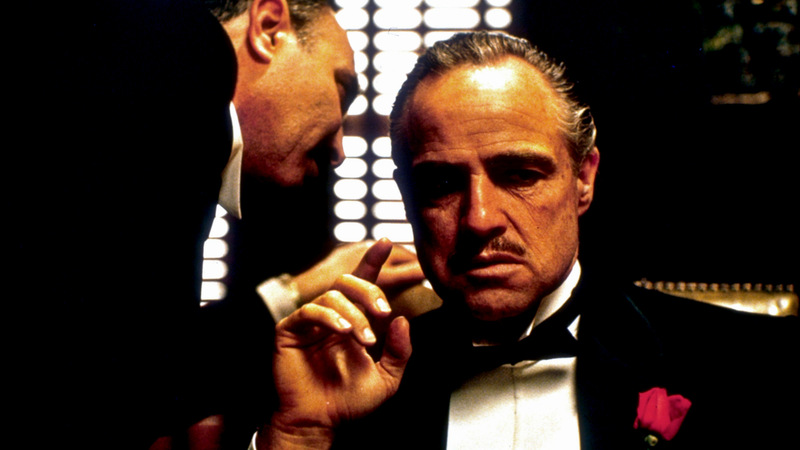 When I stated that growing up, because being Italian and being Sicilian are NOT the same thing, I would always get, “oh, so you are mafia!” Then I would hear from one side of the family about those dirty Italians and then hear from the other side of the family about those dirty Sicilians. I wondered what they thought of me, since I was half of both. Maybe someday the world will stop it foolishness when it comes to racism and prejudice. We all bleed the same. We are humans. I am glad you appreciate my views and I agree, I wish everyone would stop this foolishness. Amusing, as ever, especially the first half 😉 What sprang to mind was 90’s Sci-Fi series Farscape, where the baddies also had a British accent, and the HERO, incidentally the only “human” character in the series, was, of course, Mr All-American Guy. He haaaa! Fair point! Churchill wasn’t much of a looker, was he!!!!!! Which quote would you go for? I feel reassured to hear this, though it only makes me even more confused: If the Americans do appreciate their allies, why keep insulting them? It’s highly baffling. 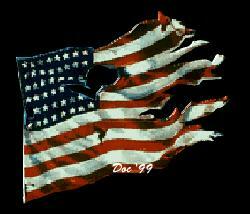 And I am surprised about the Americans taking offense at a picture of their flag looking rather weather beaten. When people create versions of the Union Jack like this, we consider it “Art”! What should I say as a German …? As a German I am used to movies where the bad guys are German … and if the German is the good guy in the book, he is replaced in the film e.g. by a Scot as in “Journey to the center of the earth”, where in Jule Verne’s book a Hamburgian professor now is replaced by an Edinburgh professor. Is this fair?! Interesting! And of course its true that for many years the Americans made endless movies about German baddies. I hadn’t realised they were deliberately writing good Germans out of the plot too. I shall look out for that movie, it sounds very interesting! Please know that there are many Americans who disagree with our current president, his tactics, his actions and behaviors, and are doing everything in power to educate voters in an attempt to change things. We are every bit as outraged about the way our long-time allies have been treated, the imperialistic attitude (in every sense) of this administration, and yes, there are many, many more issues. Just know that not everyone in the US has their heads in the sand, and there are those of us trying to influence positive change. I’m so sorry your son had that realization. It’s not surprising, but truly sad, and thanks for calling attention to it. It is a very disturbing trend. I think most American kids know better, in spite of the attempt at conditioning. The British lover usually turns out to be not only too snooty, but the mastermind behind the evil sub-plot as well, and displays callous cruelty to animals, poor people and ethnic minorities. One that made me laugh recently was the Italian girlfriend of Hodges the lab nerd in CSI, who was supposedly heir to a vineyard in Tuscany, yet everyone feared she was only dating him to get a green card. (Seriously? Living in America versus a VINEYARD IN TUSCANY?) And then she appeared one day in the lab wearing a short, cheap lycra dres that no Italian woman would be seen dead in and manifested the aforementioned emotional instability in very bad Italian!!!!! Exactly… it’s so annoying… really clever dialogue on the one hand, really dumb stereotypes on the other. You can’t do that with black characters anymore, coz that would be racist, but you can do it with foreigners, UNLESS they happen to be Mexican (that would also be racist). Oh, and the British character will always have had servants back home – WTF?! I am glad to hear that there are plenty of more sensible people in America. to be honest, I did know that as I have a lot of highly intelligent American friends who do not believe or support these stereotypes – yet it’s depressing that the bigoted people seem to have the loudest voices. Above all, I am glad to hear that MOST American kids know better. Very true about stereotypes and how frustrating they can be. I’m from Pakistan originally and I get all sorts of random comments from people ranging from ‘is it true you have to wear a burqa all the time?’ (um, no) to ‘isn’t that a police state?’ (Dude it’s a democracy, relax). Though when I lived in Britain, people often thought I was Italian (till I opened my mouth) which was interesting. I have to say, based on news report from Pakistan on Al Jazeera (my favourite news channel), I think the people in Pakistan look exactly like Italians, so I am not at all surprised people often mistook you for an Italian! The topic is si upsetting because it’s a perfect reflection of reality. I am 100% Sicilian…but at the same time Italian and European…living in Paris…speaking 4 languages…lucky enough to work in a multicultural environment where Christians, Muslims, Black, Asians, Gay etc are absolutely accepted. Yet every time I say “I come to Sicily” I literally count the seconds before the smart guy in front of me immediately turns into a stupid ignorant that recap centuries of cultural heritage with some Godfatherish nonsense. Though I am not glad you have to put up with this of course, I am glad you are here backing me and, and telling people I am not exaggerating. I have seen my husband suffering this a few times. The worst ever was when we were here in Sicily, at our local beach, with my family, and some people on holiday from Milan heard us all talking in English. They decided to introduce themselves to us. My poor hubby was behind us (carrying most of the beach stuff) and they actually pointed at him, to show an example of a “terrone” in case we didn’t understand. When I tell people my husband is Sicilian, some of them have asked if he lets me out of the house alone, if he makes me wear black clothes all the time, if he is in the Mafia (this one endlessly, WTF?) and what would he do to me if I asked him to help with the housework (I never do because he does most of it himself). Milan…the worst years of my life were when I lived there. But again…stupidity is among us…I recently explained to a French bar owner that it was not funny to call a new hamburger “the Sicilian godfather”…but he didn’t realise I was serious about that. I really love that quotation – thank you for that. And you are absolutely right. That is how my husband deals with ignorant people and he is a model of good sense. My sister and I have both lived in Milan and we were both miserable there (for a lot of reasons). There seem to be a lot of racist people up there whereas the Sicilians are usually open minded and enlightened. 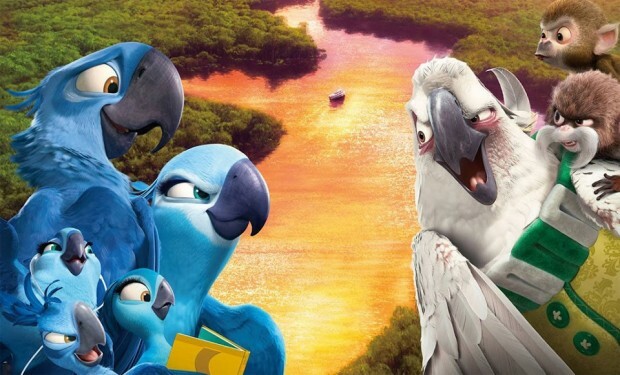 Don’t stress too much, the bird in Rio is actually a native Australian cockatoo and like most American movies they never get an Aussie accent right. Maybe it’s a swipe at us…? Ha ha! I had no idea that bird was really Australian! For the record – a broad Aussie accent is called ‘Strine’. And on a lighter note (compared with most of these comments) – the surname Chase does at least end in a vowel! Ha ha! I am practising pronouncing Chase according to Italian spelling rules – and it sounds like Khasi. Do you use that word in the Strine language?????!!!! Egg jelly, reckon aorta do a post about Strine. Stay chooned. Ha ha! I remember feeling sorry for the Russians when all the bad guys were Russian. It was relentless. Nowadays they always seem to have Russians (or any generic East Europeans with hopelessly unconvincing accents) as drug dealers or pimps on a grand scale. And have yopu noticed how often they identify a corpse as being European, especially East European, because it has terrible teeth? I KNOW!!! Ironically, my US dentists always commended me on my teeth, which were tended to for their lifetime by Russia and Russian public dental care! Oh well I LOVED Sicily. The food was amazing. It is so beautiful – the baroque. It never even entered my head to feel unsafe, not even once (in 3 weeks). I can’t wait to go back. You’re right. It’s racist. Expect to see me lounging in a piazza somewhere next northern summer. I speak Italian. I am familiar with the mainland of Italy, but Sicily blew me away. I am very glad you loved it here and didn’t get fooled by the cliches! Wowser, lots of comments on this post. I am from the USA and I will be staying on your blog. I enjoy reading what you write. I was and am the flag waver. I give equal flag waving from my balcony, to both flags of my citizenships.. USA and Italia. I am a first born American. My father immigrated from Aberdeen, Scotland at the age of 10, with his father. They both became naturalized US citizens. My mother’s family immigrated from Canada. I was taught that altho times and prejudices caused the immigration, that Scotland was a mighty fine heritage. So much of what you write is valid. I guess the presentation with 9/11 and a tattered flag being used was a blow to my first read. I believe that those of us who have lived outside of our mother country can see more of its faults. I am of an older generation than you and your readers. I have often been told by seniors here how much they owe to the US after and during WW2. I will and I mean I WILL speak up to my US family and friends when they use stereotype language when speaking of other nationalities. We can all use a little work. Thank you for that reminder. I am really glad I haven’t put you off my blog. I am not scared of controversy, as you know, but I want to provoke thought and positive discussion, not make anyone feel I am taking gratuitous digs at them. I did not know the physical appearance of the American flag would be a sensitive issue at all and I would not have used that (especially on 4th July) if I hadf known – as I said, I wanted to be thought provoking not hurtful. Anyway I am glad have set off some thoughts and also, I hope you had a good 4th July! U seem educated enough , but your 9/11 comment was RIDICULOUS! That was a well planned MURDER of 3000 people carried out by well educated (likely Saudi backed) maniacs. Ceasar murdered an equivalent 50 million Gauls in order to become emperor. We celebrate July named after a mass murderer, so time heals (and people forget). My innocent brother in law (with children aged 4,7,11) was murdered that day. Google: Christopher Quackenbush. You post went a bit off the rails on this one and diminishes your otherwise pleasant blog. Ignorance and poor socio-economics creates hate as you suggest elsewhere in your post. When you drop bombs on your enemies, you drop bombs on yourself. I think you got my point about 9/11 and yet also missed it completely. I was working in NYC shortly after 9/11 (I lost friends there) and I think it would be fair to say that not a single American I spoke to had the faintest idea why they their innocent countrymen had been killed. “Why do the Muslims hate us?” they asked. Bin Laden wrote a Fatwa agasinst the USA in 1998, which spelled it out pretty clearly. So whilst the Americans may view him as a terrorist, his organization considers itself to be at war, an formally declared war, which is exactly what Western countries do. American soldiers have killed and injured a great many innocent women and children in Iraq and other places. Maybe they didn’t show Iraqi children with legs missing on the US news very often, but they showed it on the BBC and they showed it on Al Jazeera quite a lot. This happens in all the places America fights wars – you cannot fight a war without collateral damage. I am not condoning any of what Al Qaeda has done in any way. My own economic and moral interests are strongly allied with American ones and I would support my country in defending those. Yet I AM saying to Americans in general, try to put yourselves in other countries’ shoes from time to time. Of course, it is obvious that war and death are on a completely different scale from xenophobic and insulting representations of other nationalities disguised as entertainment. Yet they are the first step on a slippery slope towards distrust and resentment. And why do the extremist warmongers among the Muslims manage to recruit SO MANY people to join them in hating America so bitterly? Could it be the Americans seem to hate them already? I am sure as an American you feel intensely uncomfortable reading and watching this (if indeed you have done so) yet try to imagine how a Muslim would feel. How HATED would he feel? Try to imagine how HATED we British feel when watching all the films and movies where Americans make us look evil. As the bombardment of anti-British messages from America keep intensifying, British public opinion of America has gradually gone down and down. An opinion poll showed in the last couple of years that the balance tipped so that more British people take a negative view of America than a positive one. The Muslims have, of course, gone way past that stage. That was what the 9/11 comment was all about. It took me some time to read through everyone’s comments. Some Americans already wrote my feelings. Please do not believe that ALL Americans follow and endorse what our current leader says or does. Or some of our past leaders either. It saddens me that the world thinks we are all like this. I don’t see too many movies but I never noticed all the baddies one nationality or another. I will from now on. Being half Italian and half Irish guess one part of my family is out carrying out hits while the other part is hearing their confessions. My ex husband used to tell people not to piss me off or I would make a call to my family. He told everyone I came from marfia. Sometimes you just can’t change stupid. I’ve triggered quite a debate – I am pleased about that. You see how subersive the bias is? It made your husband tell people you came from a criminal family, even though he married you and presumably knew that was not true. I’m glad to hear you have positive thoughts about the British! The Beatles and The Who – all good. I hadn’t thought about this issue in years, until I read your post (which I had somehow skipped earlier.) But back in the 1950’s and ’60’s the taint of Mafia was still affixed to pretty much ANY Italian in/from Chicago, where I grew up. We would spend summer vacations way out in rural North Dakota, which had almost no TV/radio service. Yet, the “Al Capone” era crime legends lived on there and all my (German) cousins in N.D., and those visiting there from California, would grill me about our supposed mafia affiliations and doings! I thought they were just joking, but discovered they were really a bit afraid of us! Sad! But do you think the general attitude and level of awareness has improved since then? I notice you said you hadn’t thought about this issue for years….. that sounds positive ???? Well, we shall see! Amazingly, this coming Tuesday (July 22) evening there is a NEW, hour-long documentary on PBS TV stations (Public Broadcasting – our closest thing to high-brow BBC, with no commercial ads). The title is “Al Capone – Icon”. The description of the show: “The impact of Al Capone on American culture, including why people are fascinated by the story”. So I will definitely try to watch it and let you know. I am frankly a bit amazed that they think the general pubic still remembers the guy’s name. So. I watched the “Al Capone: Icon” TV show. It was not very informative. They said sort of the same things over and over: Bad guys are fascinating, Capone was REALLY bad – so apparently really fascinating, etc. I didn’t beleive it. I still doubt anyone here today cares about Capone or gangsters in general. Organized crime still exists but no one ethnic group has a monopoly on it. Their was no mention of the word “mafia”, by the way. All references were to “the mob”, mobsters, gangsters, etc. They didn’t even mention WHICH Italian town Capone’s family came from. It was in general a poorly researched, very dull and uninformative documentary. The one thing I learned was that sometime in the 1930s, Hollywood decided that films could not glorify bad guys – they had to lose in the end. It was called the “Hayes Rule” and lasted until the late 1960’s. Maybe we all need that rule again. That Hayes Rule sounds interesting and I agree, that needs to come back. There is so much the entertainment industry could do to have a positive influence on society yet sadly, they repeatedly choose to do the opposite, it seems. Glorifying bad guys and giving out a message that crime sometimes pays is one of them. The thing I find frustrating with the “bad guys are fascinating” premise is that they never show you how and why people become bad guys. I know some people here who tell me they grew up with their father in prison – one friend said every single kid from his primary school class is either in prison or dead execept him – and they have genuinely interesting explanations of the social issues that create and perpetuate these problems. It is far more complex than simple poverty and could make interesting documentaries of movies too. I would find the fascination with bad guys more acceptable if it explored this kind of reality, yet it seems they never do. In the show the Sopranos the members of the organized crime group portrayed in it aren’t Sicilian. They are from Avellino, they talk about Avellino quite regularly in the show. In one of he seasons of the show they actually go to Naples to see there Italian family connections there whom are camorra. Tony Soprano talks and reflects on his family roots in Campania on several occasions. 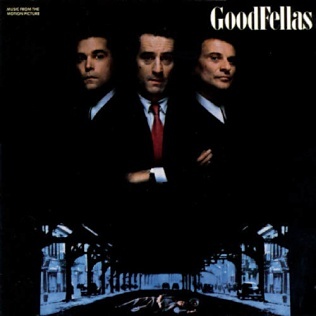 They never go to Sicily and from my recollection I dont think Sicily is mentioned in connection with the family other then the fact they refer to themselves on a few occasions as “our thing” which gives the assumption they are cosa nostra which then links to Sicily. Although due to movies like the Godfather, people in America tend to generalize and think Italy has only one organized crime organization and that it only exists in Sicily. Most people have never heard of the camorra nor the ‘ndrangheta. The Cosa Nostra is definitely the group that has the most “fame” in North America and had the most influence on “mob culture” here. Enjoy reading your blog. Just wanted to point out that David Chase and whoever else made the Sopranos made it clear throughout the series that they aren’t from Sicily so I don’t think anybody was making any descision to bash Sicilians in the show, perhaps Southern Italians? I didn’t know that Lauren – thanks for the info! When I first moved to London, in the mid-80s, whenever I mentioned I was Italian the automatic response was “Are you Sicilian?” wink wink. It annoyed the crap out of me: first having to explain that I came from nowhere near Sicily and, anyway, Sicily didn’t equate mafia. In the States, at this point in the mid-90s, it was less so, althought such stereotypes are hard to die, like the pasta simmering in sauce it’s still occasionally served here (and labelled Italian). Your blog is hilarious, and your fresh eyes interesting, and I commend you for following your love all the way to a fisherman’s village. Even as an Italian, I have to admit, I am not sure I would have had the guts. Plus, I would miss i negozi di intimo too much, where you can buy pretty underwear! After a while i stopped bothering .. Still not sure what reply. In the end Hollywood sells everything.. From vietnam wars to 09/11 to..mafia of course. Keep up the good work. (Ps.. Salutami l sicilia). Alessio. 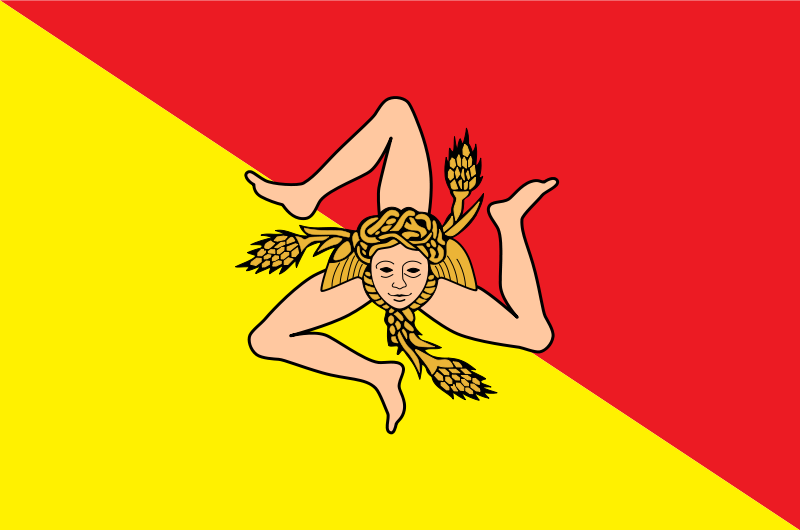 Mrs S is Sicilian, In a staff meeting, the head teacher announced that a new teacher form Sicily would be joining them, she added ‘I wish the Sicilians would stay in Sicily and stop coming north for work. So 5 years in the UK will wash away the stain of being Terroni. Usual Hogwash. Gosh, that’s extreme hogwash, isn’t it? Shocking! I guess when you opened your bank account, you also had to sign a document declaring you weren’t Mafia or affiliated to the Mafia. When I opened my account, I couldn’t believe they printed 5 pages that were totally worthless. I actually haven’t bothered to open a bank account here. I just get paid in cash and store it under the mattress. When I read about Italian bank charges, I was outraged and refused. But my father-in-law did have to get a certificate proving he wasn’t in the Mafia before he was allowed to open his greengrocer’s shop. That’s standard procedure for any business in Sicily, apparently. I’ve got a Sicilian American friend who was called Bucalo but uses Belchase – having a Sicilian name provoked loads of prejudice and threatened to hold her back in America. She’s advised me to start publishing my books in my (Welsh) maiden name rather than my husband’s surname as they’ll sell better in America. It’s a mistake to think that the Hollywood movie system is a an accurate reflection of the USA, its people, their education & values. We are a diverse country with many complexities- some admirable & some deplorable. You are asking US citizens to think thoughtfully about rejecting stereotypes of other nationalities & I would ask you to do the same. 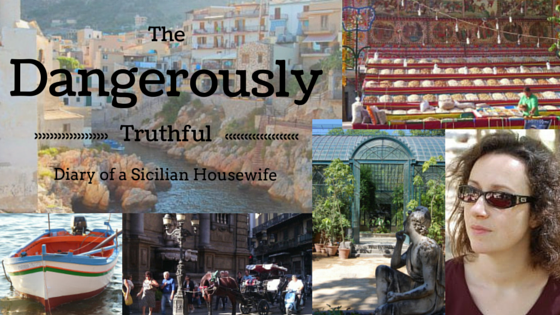 My husband and I have been to Italy often but found your website as we are planning our first trip to Sicily. I find your writing charming & ordered your book. What you say is true! I know a lot of Americans and the only one of them who agrees with, and continually spouts, the views expressed by Hollywood is my deeply embarrassing cousin from California. So you’re right, American movies don’t reflect the views of all Americans, and probably not the views of most Americans, but they ARE the only views that America sends out to the world. The vast majority of Europeans and Asians can never afford to visit the USA so they never get to find out that those views are probably not reflective of the majority of Americans. Remember that about 90% of what we seee on TV and in our cinemas is made in Hollywood, so these Hollywood opinions and these impressions of Americans really do saturate our minds like a brainwashing campaign. I hope you find my site useful for holiday planning – I am gradually making some pages and a sub-menu to make it easier to navigate around teh sightseeing nlog posts I’ve written over the years! And I also hope you’ll really enjoy the book!